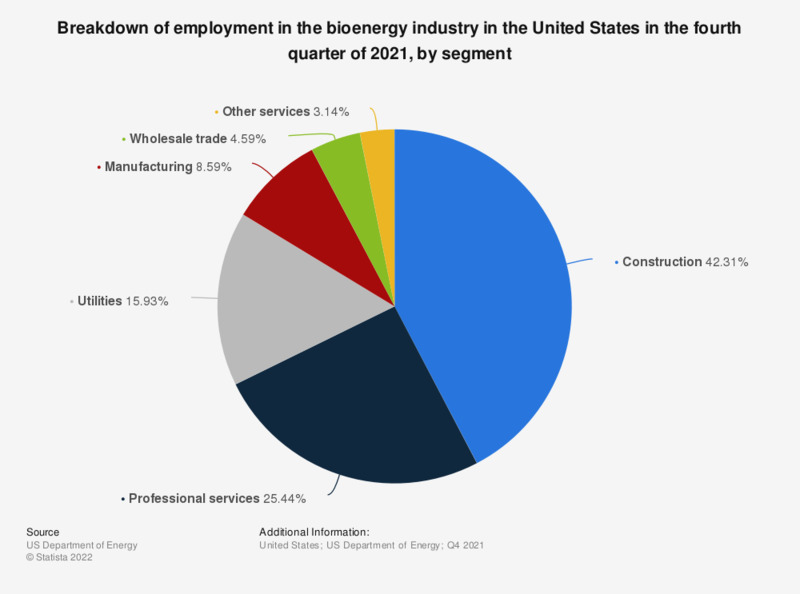 This statistic represents a breakdown of employees within the bioenergy and biomass electric generation industry in the United States in 2018, broken down by segment. In this year, the share of of employees in the biomass construction segment stood at 43.5 percent. Values are calculated from a total of 12,976 workers. Statistics on "Bioenergy in Italy"